There are signs of a shift in environmental policy under Gov. Phil Scott — a new focus on customer service, in which “customers” are defined as business interests. And while the Republican governor has promised to protect Vermont’s environment, these signs have to be worrying to many. Two cases in point: an “inelegant” press release from the new chief of the Agency of Natural Resources and a nice reward for an arguably undeserving developer. First, ANR Secretary Julie Moore is launching a “statewide listening tour” that started Thursday with a stop in St. Johnsbury and continues through March 2. Hmmm. So the ANR’s “customer base” consists of business and development interests? Not, say, individuals, communities, advocates — or, you know, the environment itself? OK, well, perhaps. But we also have a recent case of “customer service” that leads all the way to the governor’s office. In a mere five years in business, the Hermitage Club has racked up a truly impressive list of environmental violations. It has repeatedly flouted state and federal regulations, ignored permit restrictions or simply gone ahead and built stuff without a permit. 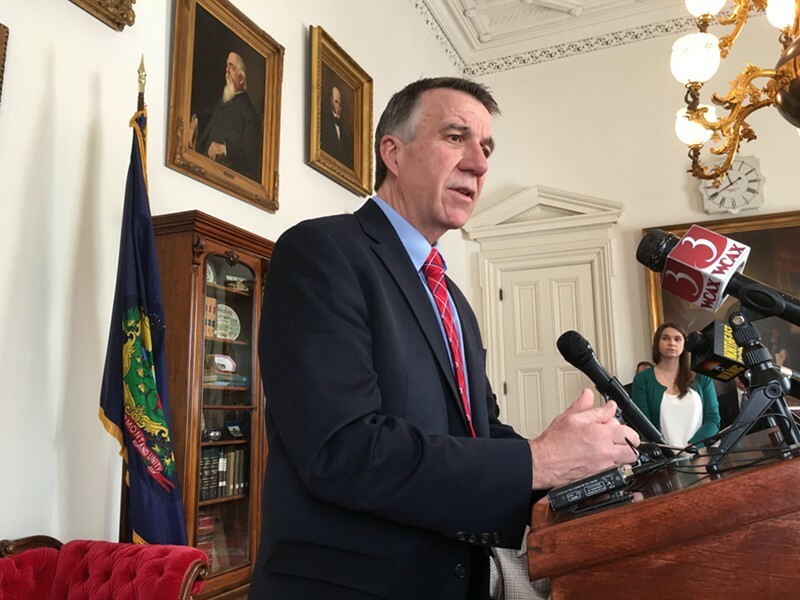 On two separate occasions in 2015, it paid fines to federal authorities; in April of last year it agreed to pay $205,000 to the state of Vermont to settle numerous alleged violations. At the same time, Hermitage has been seeking state approval of a master plan, which would make the permitting process much simpler. The process has been slow, which might just have something to do with the club’s abysmal record of environmental overreach. Earlier this month, club officials met with Scott. Within days, the master plan was approved by the District 2 Environmental Commission. At his weekly press conference Wednesday, Scott acknowledged the meeting and its aftermath. Which is true. Without the Hermitage Club, the property would be just one more dead ski area. Its wealthy clientele and its ambitious (and sometimes legal) building projects provide quite a few jobs for local residents. The Hermitage Club did not immediately respond to a request for comment. Environmental regulation is always a balancing act between preservation and reasonable use. But it’s becoming clear that the Scott administration has a different idea of proper balance — and of the environment’s “customer base” —than the previous regime. *Correction, February 24, 2017: An earlier version of this story misstated the annual fees of a Hermitage Club membership.